Actron CP9670 paid for itself after clearing 2 check engine light displays. Money well spent. Easy to use and gives small detail of fault. Car diagnostics and repair are today some of the easiest processes. With the simple use of this Actron car scanner, you can promptly find the problem in your cars. Most cars only give the user a warning on car system malfunctions. 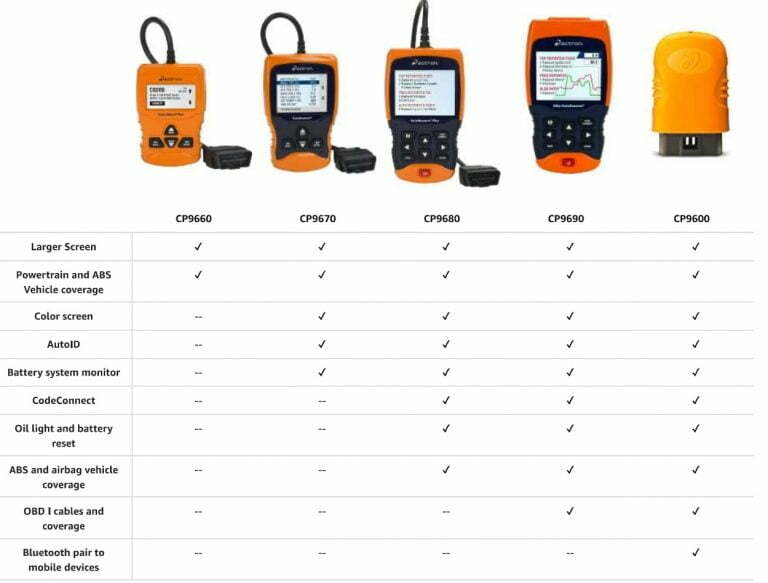 The use of an auto scanner allows you to find what part has a problem, how to locate it and potential solutions. The market today offers a variety of car auto scanners. Most live up to their functionalities but some have managed to stand out among their peers. The device controls are well defined, easy to understand and use even for a beginner. One such auto scanner is the Actron CP9670. It has received high praise from customers. Based on the reviews, the product stands out by virtue of its functionalities and upgrades. The following is a detailed review of the product. Most professionals in the automotive industry for its features have commended the product. One of the most outstanding among the product’s features is the live data presentation. This gadget allows the user to conveniently view relay and switch inputs in real time. Including the vehicle sensors, the user can get a detailed report while the engine runs. To further improve your experience, the Actron CP9670 has a color LCD screen. The screen allows the user to use and understand the devices intuitive interface easier. The colored screen allows emphasis on certain important analysis result findings that you may miss using non-colored screens. 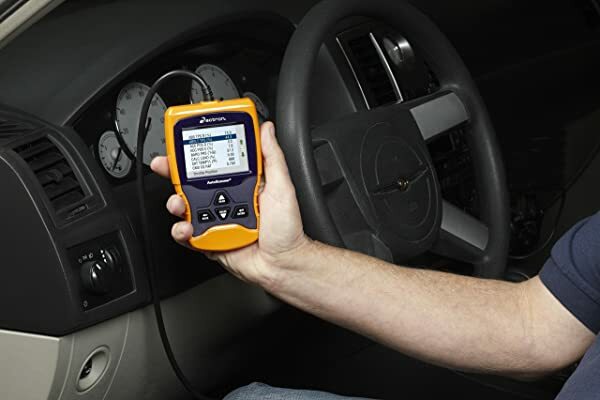 Unlike other scanners, this piece gains its name from is unique ability to read and erase ABS codes, battery and alternator codes as well as powertrain codes. The code definitions also have wider vehicle coverage. The manufacturer assures that the device can effectively communicate with any OBDII compliant vehicle newer than 1996. This covers all vehicles up to the year 2013. The device offers a larger LCD display than other similar products on the market. Sometimes fail to identify with the device. May not compatible with 2004 Dodge Sprinter 2500, 05 Dodge Grand Caravan. Almost none. Customer service is not really good. Bottom Line CP9670 is built for DIYers Actron CP9660 suits any car owners or DIYers. 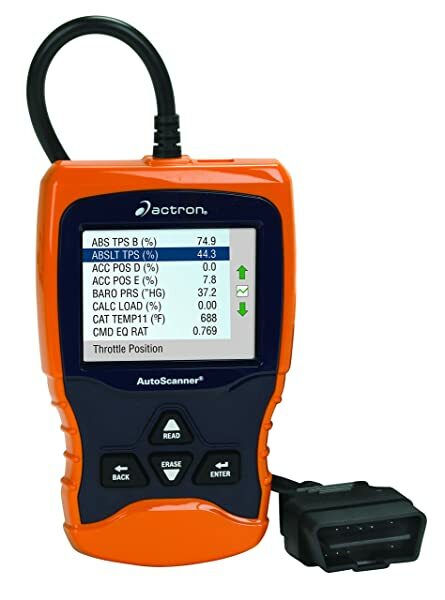 Actron CP9690 scanner is definitely one to consider if you want a tool that can diagnose the engine, ABS, and SRS. The device no doubt offers a great number of features. It cannot, however, be considered an expert level device. Actron CP9670 Scanner is recommended for the average car user needing it for their own personal use. It is a handy tool to use when self-servicing your car in your home garage. Actron offers other higher-level scanners for more experienced users. This includes the Actron CP9680, CP9690, and CP9600. These other models offer a greater range of features and therefore give more detailed reports as compared to the Actron CP9670. Actron CP9670 offers quick reliable information on your car diagnostics allowing you to quickly service your car on the go. They are considered ideal for users with a variety of cars to use on. This includes mechanics or auto repair shops. They, however, require a learning curve to use them efficiently hence the recommendation that you start out with the Actron CP9670 first. For personal use, Actron CP9670 offers quick reliable information on your car diagnostics allowing you to quickly service your car on the go. The Actron CP9670 is one of the most innovative products in the automotive industry today. It offers a detailed analysis of the state of your car. This involves the proper analysis of malfunctioning systems and parts. To properly repair you care with ease, the use of such a gadget may prove infinitely advantageous. It allows the user to save time and avoid the frustrating manual analysis process. The gadget is a useful tool to have in your car. Many times people are stranded by the roadside owing to engine failure. 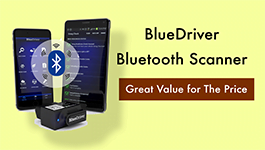 This gadget can save you the torture of being helpless, granting you the ability to obtain live results, assures accurate diagnostics on your car no matter whatever the engine problem may be. It is perfect for small-scale and personal use. 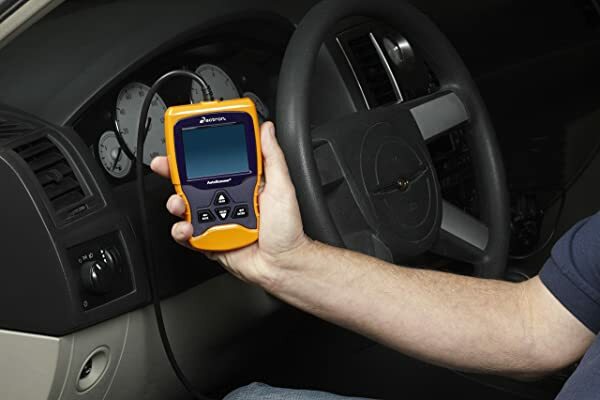 based on its features, a user familiar with their car can easily understand the diagnostics. 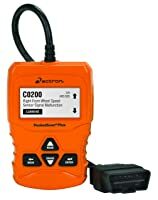 For ambitious persons who wish to repair their cars by themselves at a budget-friendly rate, I highly recommend the Actron CP9670. Your Check Engine Light is on? Just simply plug Vgate Maxiscan VS890 in, get your code and decide to whether fix the problem yourself or visit an auto shop.